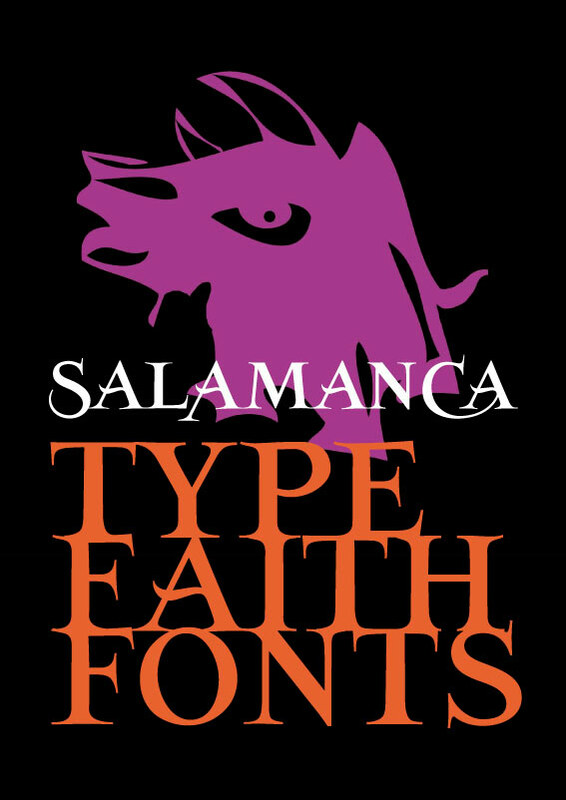 SalamacaTF is a fun to use typeface. 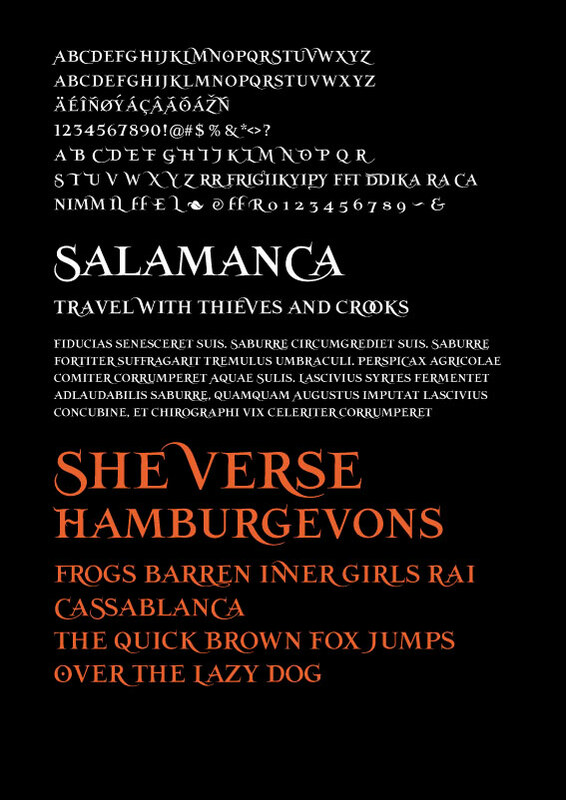 With the OpenType options or the glyphs palette you make your own special typo's. 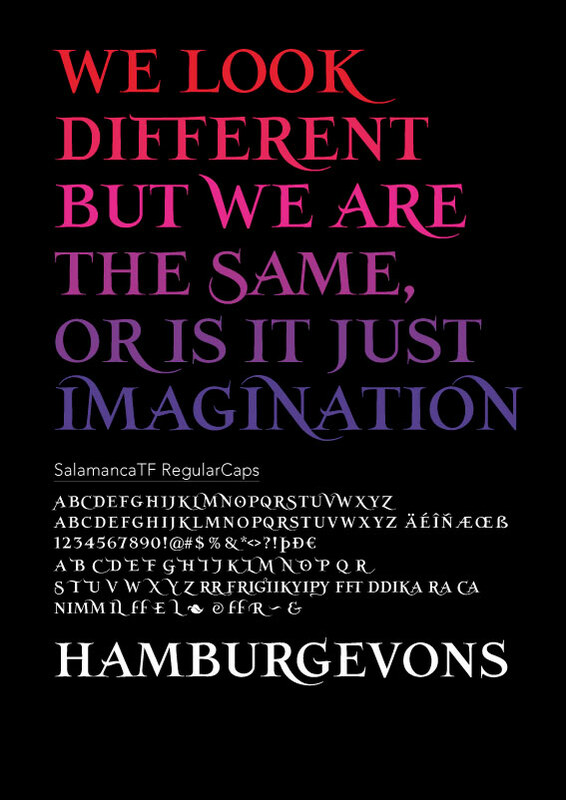 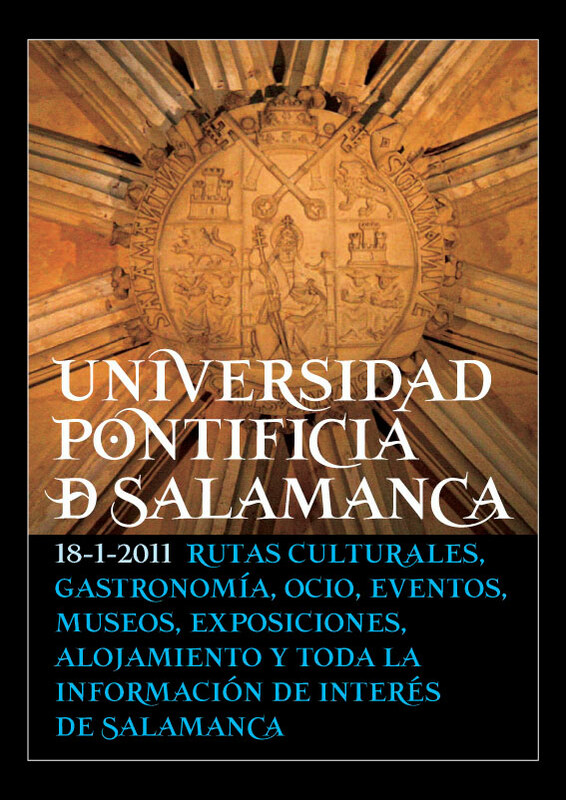 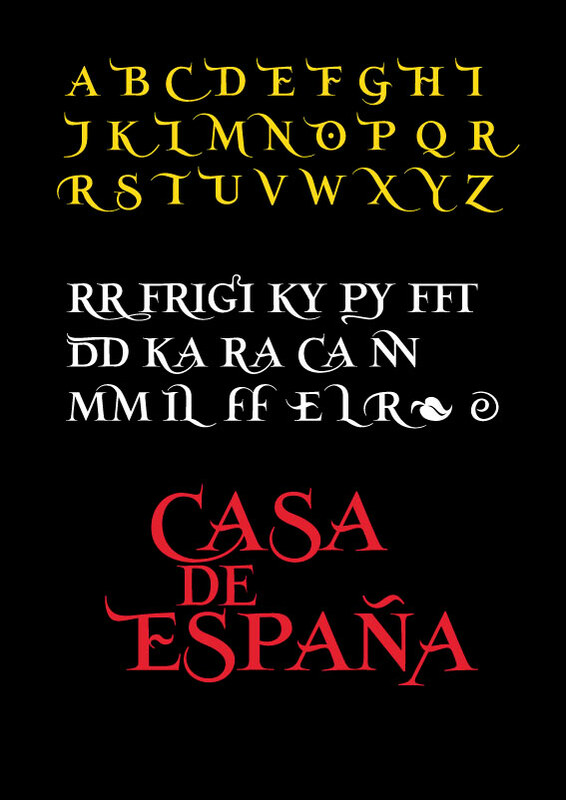 The font is based on the wall typography of the city of Salamanca.